Fate played a part in the Westmores success. One afternoon, at Maison Cesar, the actor, Adolphe Menjou arrived with a problem. He had accidently shaved off half of his moustache. Perc was working as an attendant, and offered to rectify the situation. He quickly ventilated half a moustache so that it matched the other half, perfectly. Menjou returned to the set. 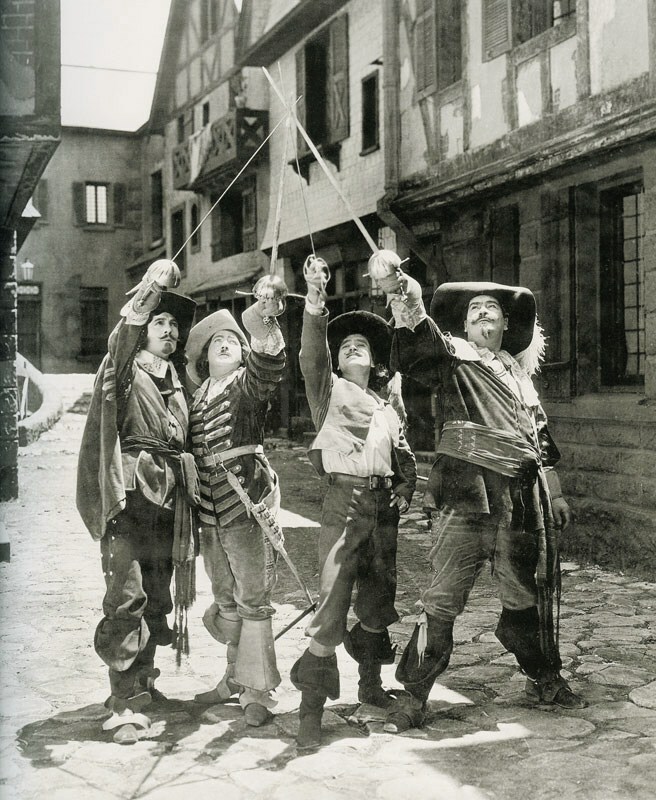 Douglas Fairbanks was so impressed with the workmanship that he halted the production of The Three Musketeers and ordered all the wigs and hair-goods be made by Perc and his father, George. Taylor Arcade, Cleveland, Ohio. George worked here as a wig and dye maker when he first immigrated with his family into the United States. George and his family moved from the Isle of Wight to Canada in 1909 and remained there until 1913. They immigrated to the United States and lived in St. Louis, Cleveland, Buffalo, San Antonio, New Orleans, Washington D.C., Pittsburg, and finally, reaching Los Angeles in 1917. George worked his way through the United States as a wigmaker. When they finally reached California, the boys were old enough to work and all were skilled carpenters. Monte worked as a plumber for a short time before he became a valet to Rudolph Valentino. Wally worked as for LA Sash and Window, Ern sold Maxwell cars, and Perc went to work at the City of Paris Department Store in San Francisco, selling wigs. Their sister, Dorothy, worked at Western Costume Company in wardrobe. They built a house on West Adams Street in Downtown Los Angeles and raised rabbits that they would sell to Youngs Market Company on Jefferson Street. For a short time, they also took in actors and ran their home as a boarding house. George studied wig-making at the College of Hairdressing at Brighton and Hove and quickly went to work in London. He made barrister wigs and studied the European hairstyles to fashion the wigs of the most elite clientle. He opened his own beauty parlor in Newport, Isle of Wight, 1901. The original floor of George's salon in Newport, Isle of Wight. George's shop bill, Newport, Isle of Wight, 1901.